You are an agent of DSX, a top-secret American spying agency, and you are going to investigate the vanishing of Dr. Hyde, a scientist that has just created the Z-VIRUS. The virus was developed to be a chemical weapon when in contact with atmosphere becomes fatal and transforms people into zombies. Before vanishing, the scientist developed the vaccine and cure, and it is the only hope for humankind, since the virus spread quickly through the air. The World Health Organization issued a world warning and had already sent a team to the place, what might become a disaster for national security. 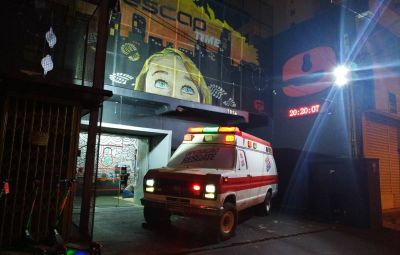 Your team’s mission is to enter in the lab, solve the case and get out with the vaccine in less than one hour. Inside the lab, you will find surprises you’ve never imagined.